Handy tips to prepare your garden for winter | EA Formby (NW) Ltd Blog! If your lawn is looking a bit battered and worn, after plenty of use during the spring and summer months, then the beginning of autumn is a great time to give it a bit of TLC. The first thing to do is get rid of any old grass cuttings and moss, using a moss rake, or if there is a lot of moss you may want to consider using a moss killer first. Look at areas that take a lot of hammer, such as children’s play areas or walk ways to sheds, where the soil becomes compacted, you can improve drainage by forking these areas with a good garden fork. If there any areas that need repair, such as laying new turf, now would be a good time to do this, as the winter and spring months will give it time to become established, before the coming summer. Then, once you’ve prepared the grass with raking, aerating and any repairs, you can then apply and brush in a sandy top dressing, followed by a good application of autumn lawn feed. Your lawn is now ready for the cold winter months ahead. 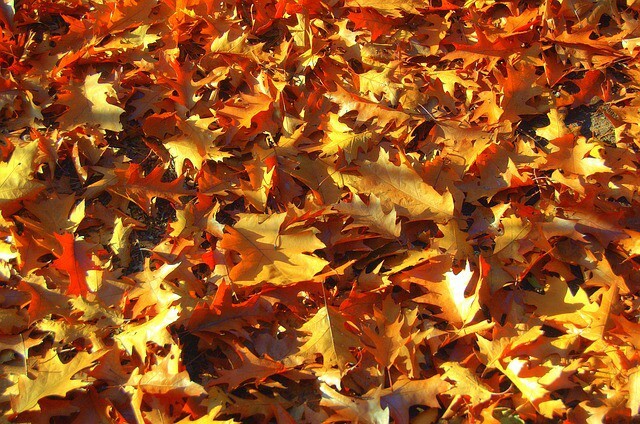 Falling and decomposing leaves can badly affect your pond by blocking filters, resulting in the water becoming starved of oxygen, turning it stagnant and killing off its plants and inhabitants. A quick way to save yourself lots of trouble later on, is to prevent the leaves from settling on the pond in the first place, by placing a fine meshed net across it and holding it down with bricks. This can be removed from time to time, as the leaves collect, they can then be disposed of and the net replaced. Wash and dry spades, forks and other tools. Sharpen shears, secateurs and any other bladed tools. Oil any metal parts to prevent rust and treat wooden handles with linseed oil. If you follow these tips then your tools and equipment should be well prepared and be in good working order and ready to use when spring arrives. All this tidying up, treating your lawn, protecting your pond, clearing your borders and any fruit and vegetable allotments you may have, can produce a huge amount of plant waste for your compost bin. So rather than heap more waste on top of your established compost and to make room for this year’s waste, now would be a good time to use your current batch around the garden, covering your borders and beds, to protect them from harsh weather, keep the soil well fed throughout the winter and give you a head start in the spring.